Provides administrative support and serves as a primary contact for the ministries of Children, Youth and their families. • Coordinates and arranges meetings, prepares agendas, reserves and prepares facilities (includes eSpace, room set-ups, food and audio visual requests). • Reads and routes incoming mail; locates and attaches appropriate file to correspondence for replies. • Composes and routes routine correspondence. • Organizes and maintains file system and files correspondence and other records. • Coordinates manager’s schedule, on-call schedule and make appointments. • Greets scheduled and unscheduled visitors, serving as a guide and liaison. • Arranges and coordinates travel schedules and reservations. • Makes copies of correspondence or other printed materials. • Order departmental office supplies as needed. • Prepares outgoing mail and correspondence, including e-mail and fax. • Provide backup coverage as outlined and structured by Human Resources. • Prepare check requests, reconcile area credit card bills and prepare financial reports. • Prepares weekly bulletin and email submissions for Communication area. • Additional duties may be assigned. • Work with children and their families from birth to 5th grade. • Contact for any questions concerning child-related programming and registration. • Handle behind-the-scenes details and procedures leading up to all programming and events. • Responsible for communicating through mailings and emails about upcoming fellowship, service and family ministry events. • Serves as primary contact for youth event registrations. • Serves as primary contact for Cub Scouts, Boy Scouts and Girl Scouts. • Coordinates details for Youth mission trips and Conferences. • Plan and coordinate details for Youth Fellowship, Youth events and Retreats. • Organize 12th-grade Senior Recognition. • Bachelors degree (B.A.) from four-year college or university; or one to two years related experience and/or training; or equivalent combination of education and experience. • Computer knowledge – Microsoft Office suite, internet/intranet and database concepts; eSpace (event management system) and Shelby. • Ability to organize and initiate work with a minimum of supervision. • Demonstrates strong computer knowledge – i.e. Microsoft Office suite, internet/intranet and database concepts. • Ability to prioritize and manage multiple projects and adapt production timelines to changing conditions. • Ability to work both independently and collaboratively within a team to produce results. • Ability to effectively communicate through verbal, written and electronic means. • Ability to read and interpret complex documents. • Physical requirements include, but may not be limited to frequent handling of files, books, computer disks and boxes of documents, keyboarding, operating a telephone and other office equipment. • Mental requirements include but may not be limited to general math functions, intermediate reading, advanced reasoning, advanced speaking ability and advanced writing ability. • The employee is occasionally required to be mobile throughout the building and attend off-site functions. 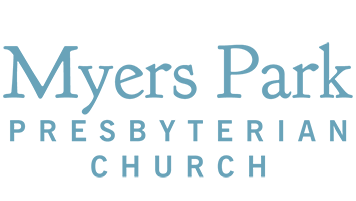 Submit resume and cover letter to Lynn Williams at lwilliams@myersparkpres.org.